A system so simple, it requires no connection to the generator, no calibration, and no wireless setup with your router. A standard laptop or PC and our detector...works with any x-ray source you have. 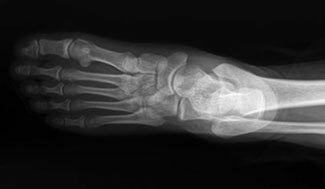 Special features like AED (Auto Exposure Detection) and Embedded AP (Access Point), allows simple and easy x-ray exams for many different applications. Its long battery life, high speed data transmission, (Gigabits, 802.11ac) and light weight (2.9 lbs.) allows productivity and versatility. Calibration data is embedded in the detector. Periodic calibration or recalibration of the detector can generate many service issues in DR retrofits. This tedious and time consuming step requiring a trained engineer is eliminated. Detector is equipped with Automatic Exposure technology which does not need generator connection to synchronize the exposure signal. AED skips these steps and allows all brands and models of x-ray generators to be upgraded. Only 2.9.lbs., (1.3kg), allowing large image capture without the weight barrier. The future is built in....evolution by design. This is state of the art, however technologies in this detector are evolving every day. The USB port is the window to update firmware and other functions without having to send the detector anywhere. Works with all types of x-ray generators...from all manufacturers. Both wired and wireless connectivity available. HIPAA compliant imaging software which produces high quality DICOM images in seconds, custom measurement capability, works with virtually all EMR practice management software, and remote internet viewing capability. 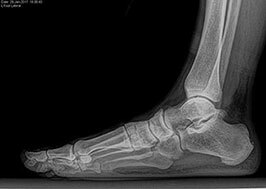 The 17 x 17” DR Flat Plate Digital Imaging System is an oversized 17 x 17 inch, (only 15mm thin), light-weight (1.9kg , 4.3lb), cassette sized flat panel DR detector, with maximum surface area coverage to completely capture even the largest sized foot. 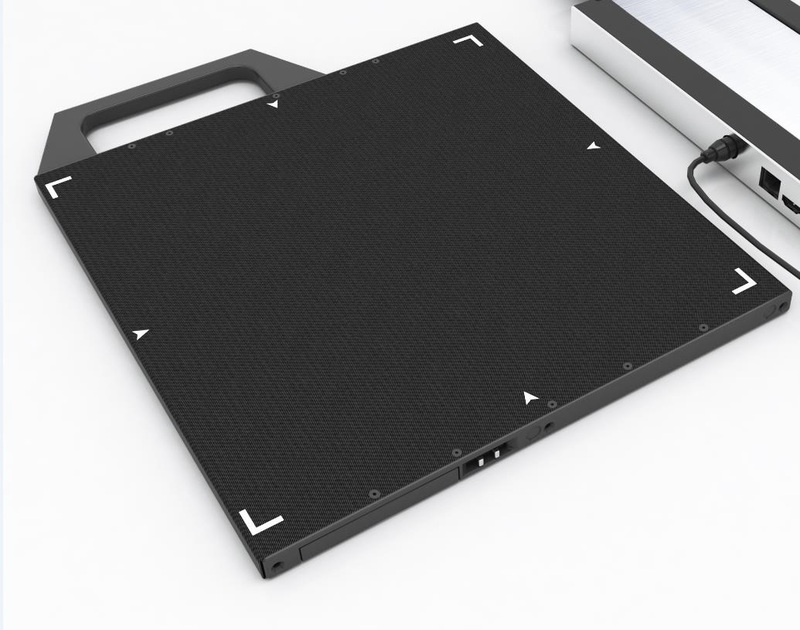 The extra 20% image capture area allows your existing x-ray machine to become an advanced digital x-ray system with easy placement and more area coverage than normal 10 x 12" and 14" x 17" systems, but without the premium cost. The 17 x 17” DR Flat Plate Digital Imaging System has the same dimensions as a standard ISO 4090 film cassette, and fits into existing cassette and Bucky trays. No Cable connection is required with your X-ray generator to synchronize signals, as the AED, (Auto Exposure Detection) handles exposure timing. 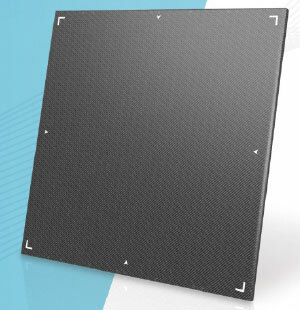 Even with its 17 x 17" over-size, (20% more image area than a 14 x 17"), the weight is only 4.3lb, (1.95kg), allowing large image capture without the weight barrier. Works with all types of x-ray generators...from all manufacturers. Single cable connection, (includes power and signal via Ethernet connection).